Helping to see prayer as a lifestyle and not a one-off conversation, Debra Green shows how persistent and faithful prayer can do great things. Want to accomplish great things in prayer? The toughest challenges; the biggest obstacles; seemingly insurmountable problems; all can be tackled, defeated and shifted aside by faith-fuelled prayer. Relational struggles, financial strangleholds, emotional strife; whatever your mountain may be, through prayer, God's power can move it. However, mountain-moving prayer is a lifestyle. It's a persistent process, not a one-off thing. Sometimes the mountain seems bigger than you have the faith for. Sometimes we can't hear God or don't get the answers we're seeking. What happens when God says 'No'? 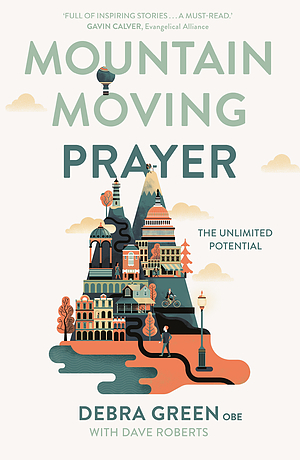 Mountain-Moving Prayer by Debra Green was published by SPCK in March 2019 and is our 959th best seller. The ISBN for Mountain-Moving Prayer is 9780281081370. Be the first to review Mountain-Moving Prayer! Got a question? No problem! Just click here to ask us about Mountain-Moving Prayer.